Chris’ style of playing is influenced hugely by his time spent being around and playing folk music from a young age. 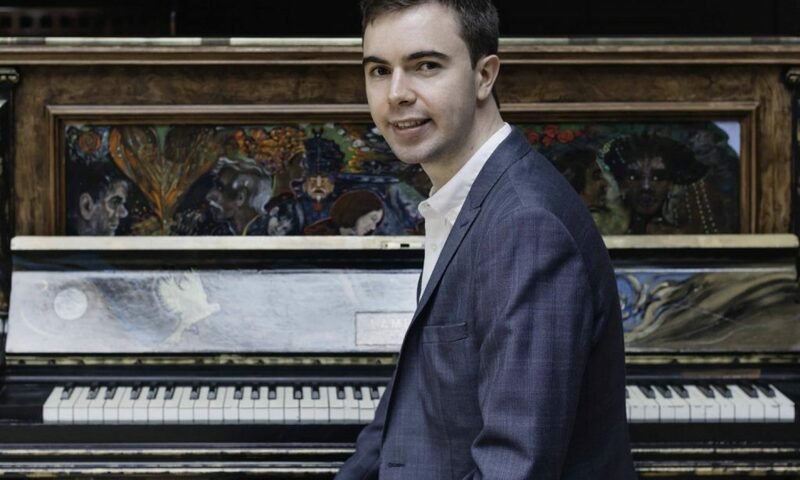 Whilst studying on the Master’s programme in Traditional Music at the Royal Conservatoire of Scotland Chris has received tuition from world-renowned Irish pianist Mary McCarthy exploring traditions from various parts of the world as well as learning from Mary’s expertise of Classical music. In August 2018 Chris began a semester of studies at the Royal College of Music in Stockholm, Sweden – this adding a whole new influence to his playing being immersed in the rich Swedish folk culture and learning from jazz/folk piano maestro Arne Forsen. Chris’ innovative approach to his piano arrangements has led to him being involved in many collaborations and performances. Highlights including performing at festivals in Wickham (England), Ortigueira (Spain) & Lorient (France), solo piano at Blair Castle for Keepers of the Quaich banquets, the Edinburgh Fringe Festival and as part of the backing band with the National Youth Pipe Band of Scotland and Inveraray & District Pipe Band. On piano Chris has performed alongside artists including Katie Macfarlane, Josie Duncan, Mischa Macpherson, Skipinnish, Graham Mackenzie, Duncan Lyall and Calum MacCrimmon.